Property 2: Ghent furnished apartment with garage. Holiday home in the heart of the Flemish Ardennes, 2 jusqu'à5 / 6 people. Property 9: Holiday home in the heart of the Flemish Ardennes, 2 jusqu'à5 / 6 people. Renovated family house, spacious, all comfort! ! Property 15: Renovated family house, spacious, all comfort! ! Beautiful charming loft in the center of Ghent - free parking! Property 18: Beautiful charming loft in the center of Ghent - free parking! Property 19: Studioludo: Furnished apartment Ghent with garage. Property 21: Modern New Two Bedroom apppartment right in the historic center! Quietly located spacious mansion surrounded by the greenery of the Flemish Ardennes. Property 23: Quietly located spacious mansion surrounded by the greenery of the Flemish Ardennes. Property 24: A charming holiday home in a quiet area. The house has a beautiful and tranquil location. Property 32: The house has a beautiful and tranquil location. Property 38: Beautiful restored windmill from 1816 with beautiful big garden. 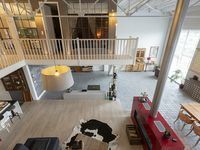 Property 46: Stylish studio 'Suite César' in the heart of Ghent. Property 50: Magnificent country house with large garden near the city of Ghent. We had a wonderful family holiday at number 2. great house with lots of space, with all the facilities you need, one more large pan would be good, but thats all we can think of to improve it. Close to the canal and bike paths to Oudenaarde and Ghent, it is quiet and has some really useful outside space. The owners couldn't have been more helpful and we hope to return next year.